Sorry for the long delay since my last post. It’s not as bad as it’s been in the past. I’m just in the midst of preparing Heralding for publication. Also, keep an eye open tomorrow for a special post celebrating the release of Sarina Langer’s second book, WARDENS OF ARCHOS!! You Should Read This, Because… It’s Pratchett! But seriously, the great thing about this series is that they are perfect blend of fantasy and humour, spoofing popular culture and tropes. 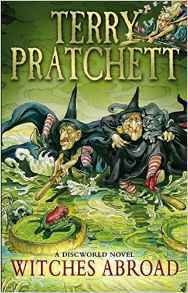 This particular installment features the Witches of the Discworld universe focuses on inverting fairytales to humorous effect! You Should Read This, Because… There’s nothing else quite like it! Honesty, friends. This series was my first foray into King’s bibliography and I was absolutely. It’s also very difficult to explain the genius of the series without spoiling it. If you’re prepared to follow a dark and sometimes gory epic narrative, to discover just how exceptional a writer King is! As a reader, it’s a compelling storyline, a long, winding journey that will challenge the way you read again. As a writer, it’s a lesson in crafting unique characters and a genre-blending narrative. 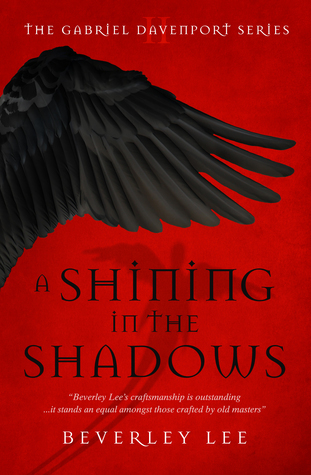 You Should Read This, Because… It’s a perfectly atmospheric read that tiptoes the line between fantasy and horror. A vampire fiction, it strays from any clichés and is remarkably fresh in its narrative. The characters are fascinating, full of flaws and good intentions. Creepy but not lacking heart, it’s a genuine delight. As a reader, it’s the perfect read to satisfy one’s need for a page-turning read that scares as well as lends insight into the human psyche. As a writer, it’s a lesson in overturning the clichés of the vampire genre and crafting intriguing characters. You Should Read This, Because… It’s at once a fascinating look into the mind of a master storyteller. 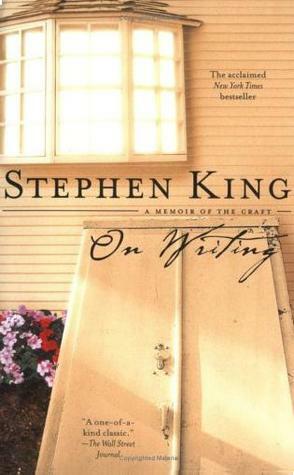 It gives as much insight into King’s writing process as it does his life. His life unfolds as a narrative, written in prose that sends chills, and doesn’t shy away from the truth. As a reader, it is an entertaining read that satisfies the demands for an insightful memoir. As a writer, it is an enlightening and inspiring examination of the writing process. You Should Read This, Because… It provides a vibrant and refreshing voice in a topic that is not only relevant, but in need of greater discussion. This book deals with the prejudice in America against African Americans and the jarring gun violence. Thomas deftly deals with the shooting of an unarmed young man by a police officer, letting the story unfold through the eyes of a young girl who intends to have the truth heard. Charged & unyielding, one of the best books I’ve read this year. As a reader, it makes you face the harsh and cruel realities of society while enticing you to be part of the change. As a writer, it is a lesson in taking a relevant topic of the day and translating it to an audience in a way that is both gripping and enlightening. 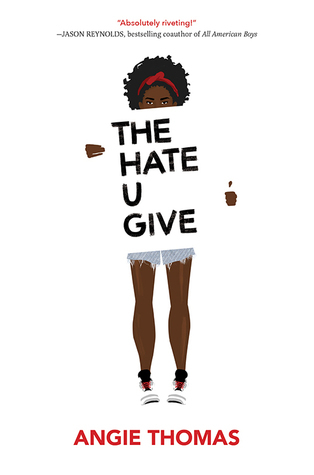 That Hate U Give is one book that I really need to get my hands on soon. Your post has just reminded me that. Great list! Loved Witches Abroad. The thing about mirrors has really stuck with me! Definitely one of my favourites! GAH. I’ve been meaning to rent The Hate U Give from the library, but with all the other books I’ve wanted to read, it hasn’t been a big priority. I should try to take care of that before the end of the year. 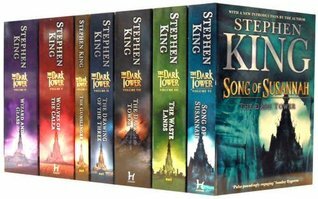 As for The Dark Tower, I’ll have to try that at some point, too. How prevalent are the horror elements? (Hey, that kinda rhymes!) I think the horror edge is what’s kept me away from King’s work for all this time. I hope you get to The Hate U Give soon, Sara! It’s really good! The horror elements are rather prevalent at times throughout the Dark Tower series. There were some moments that really made my stomach churn. I never thought I had much of a tolerance for it before. Still not sure if I do, but it was worth it for me. And to be honest, Carrie is kind of wonderful. Not what I expected at all.